By there I mean where the real estate values are increasing at a point above the measurement of the annual rate of inflation. The Consumer Price Index (CPI-U) has increased 2% for the past 12 months through July 2014. This percentage change year or year is a key indicator for the economy. By analyzing the national data – YES, we are there! Keeping in mind the real estate trends vary regionally and with the quality of the product. Looking at the global market and the Vacancy Rate – the CRE industry uses this to track trends and an indicator of the balance of supply and demand for office space. 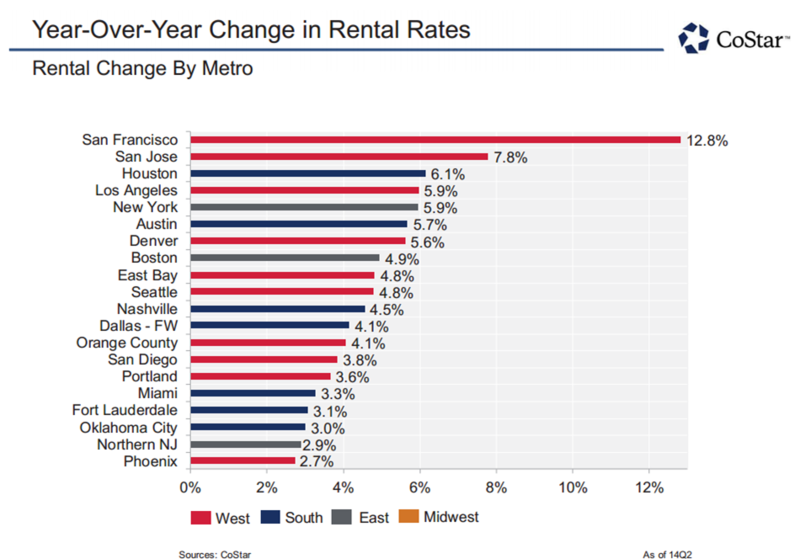 Here are a few of the findings in the national vs local office markets for Vacancy Rates and rent trends. Based on the Costar’s mid year review the national vacancy rates for leased and owner occupied buildings up to the first half of 2014 is at 11.8% as compared to 2013 which was 12.2% vacancy rates. This is a reduction of almost a half a percent in available office space. The national rent increase year to date in 2014 increased 3.7% as compared to 2013 with only a 1.9%. 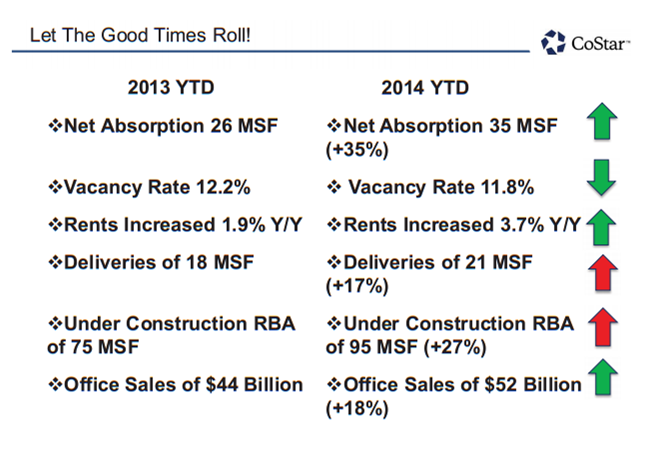 In the Philadelphia Region office the Vacancy Rate mid year of 2014 was 10.9%. In the second quarter of 2014 rental rates increased 1% as compared to the same quarter of 2013 with an increase of only .8%. 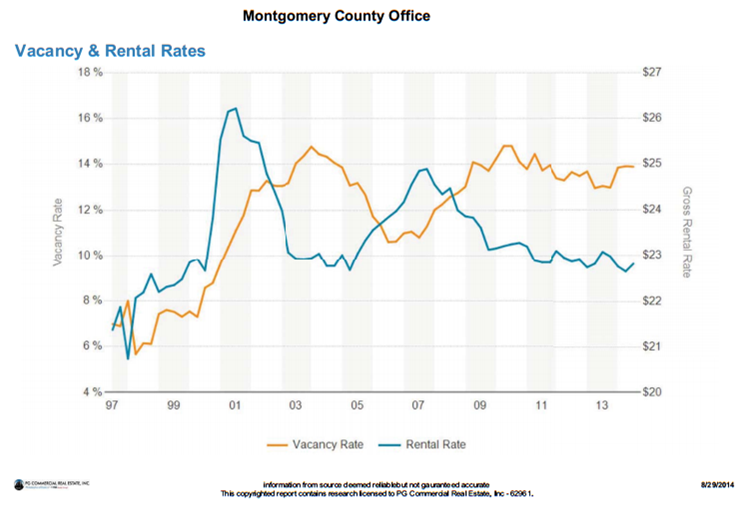 Looking at Montgomery County’s office Vacancy Rate, the rate is 13.9% and the average rent is $22.83 per square foot. 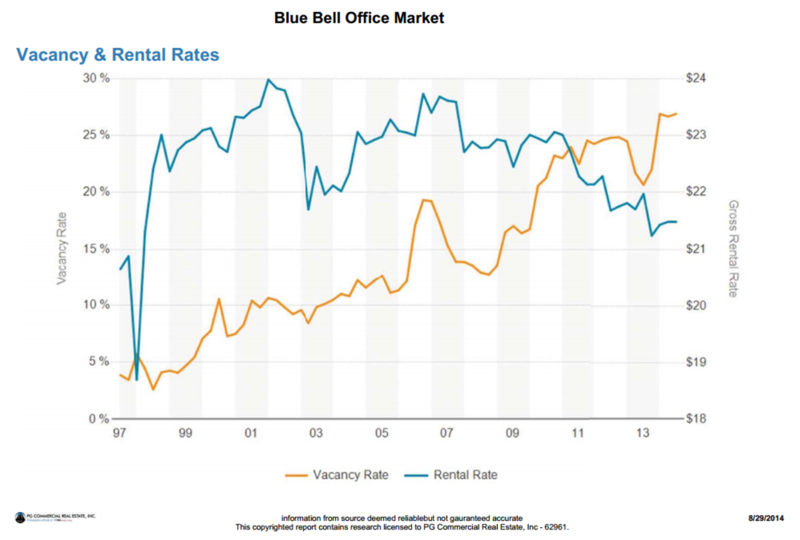 Then looking at one small segment of the office market the vacancy in Blue Bell is 26.9% and the average rent rate is $21.48 per square foot. 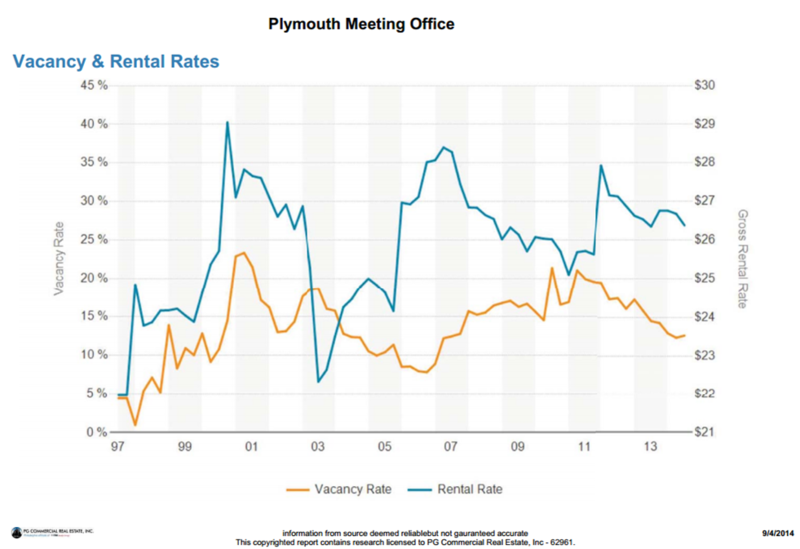 In Plymouth Meeting, PA the vacancy rate is 12.7% with the average rental rate of $26.38 per square foot. The Vacancy Rate may seem surprising, but you have to consider new development and how the submarkets are broken down. In answering the question are we there yet? On a national scale, yes especially with cities like San Francisco and San Jose with rental rate increases of 12.8% and 7.8% year over year respectively. This trend is directly tied to the job growth regions. On the local scale (Philadelphia Region) we are not there yet, but trending in the right direction. With all this in mind now is a great time to consult your tenant representative, if you don’t have one call me, and discuss long term strategies.